Who Says Tap Water Is Unhealthy? An examination of 65 of the 3,000 largest utilities found that cities such as Philadelphia, Boston, New York City, Providence; R.I., and Portland, Maine., are “manipulating the results of tests used to detect lead in water, violating federal law and putting millions of Americans at risk,” The Washington Post reported. More than 250 major cities currently exceed the EPA’s lead standards, and many of them have been deceptive, or even fraudulent, in their reporting of the problems. The fact is that today in our industrialized society we use over 75,000 toxic chemicals, and over 1000 new ones are developed each year. 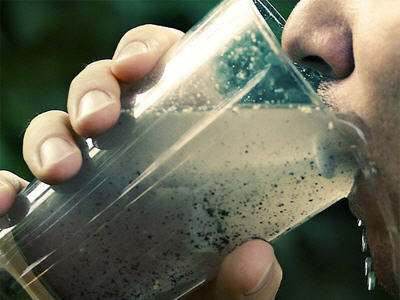 We have learned the hard way that any chemical we use will eventually wind up in the water we drink. There is no “new water,” the planet just keeps reusing and recycling the same water over and over. Our water treatment plants are not designed to remove these synthetic chemicals, and as a result we find traces of health-threatening contaminants in most of our public water supplies. Seventy years ago, before we had this multitude of chemical compounds in our environment, 1 in 50 people could expect to get cancer in his or her life time. Today, 1 in 3 Americans,1 in 2 males, will become cancer statistics! Cancer is a man-made disease, and almost completely preventable. The purity of our water is one of the most important factors in the prevention of degenerative disease.